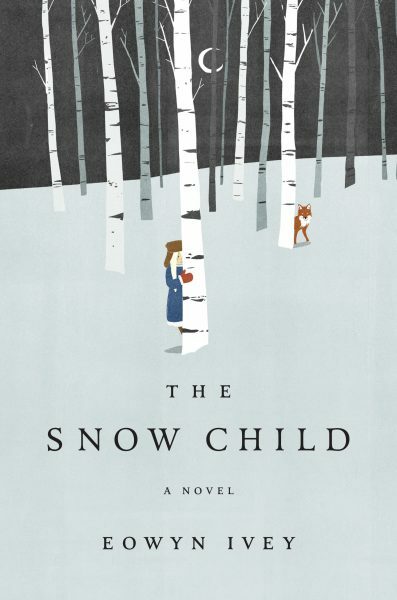 In Eowyn Ivey’s magical debut novel The Snow Child, a couple creates a child out of snow. When she appears on their doorstep as a little girl, wild and secretive, their lives are changed forever. Alaska, 1920: a brutal place to homestead, and especially tough for a couple who have never been able to conceive. Jack and Mabel are drifting apart—he breaking under the weight of the work of the farm; she crumbling from loneliness and despair. In a moment of levity during the season’s first snowfall, they build a child out of snow. The next morning the snow child is gone, but they catch sight of an elusive, blonde-haired girl running through the trees. This little girl, who calls herself Faina, seems to be a child of the woods. She hunts with a red fox at her side, skims lightly across the snow, and leaves blizzards in her wake. As Jack and Mabel struggle to understand this child who seems to have stepped from the pages of a fairy tale, they come to love her as their own daughter. But in the Alaska wilderness, life and death are inextricable, and what they eventually learn about Faina changes their lives forever. Eowyn was inspired to write the novel after she discovered the classic Russian fairy tale of the snow maiden. She was shelving books in the children’s section of Fireside Books when she happened across a copy of Freya Littledale’s retelling of the fairy tale with illustrations by Alaskan artist Barbara Lavallee. The story haunted Eowyn with its loneliness and magic in a landscape so similar to the one she grew up in. She spent the next few months researching the original tale, and depictions of it in Russian art work, before she began writing.